Story: In Parma, a young Communist feels torn between his romantic hunger for life, the security of his bourgeois background, and his ideological duty to the cause. Meanwhile, he carries on an affair with his emotionally unstable aunt. The opening scene of Before the Revolution, or Prima della rivoluzione as it’s more poetically known in Italy, stands among the most elating passages in cinema. You can’t quite pinpoint how this works; trying to relate the alchemy of these moments in typed prose, my fingers tie themselves in knots. Bertolucci, only twenty-two when he shot the movie, would go on to direct more lush, illustrious sequences especially once he began to use color. But somehow here we feel we are getting closest to the pulsating consciousness powering his vision - a sensitivity and sensibility swooning with the pregnant possibilities and numinous actualities of the moment. What exactly do we see? 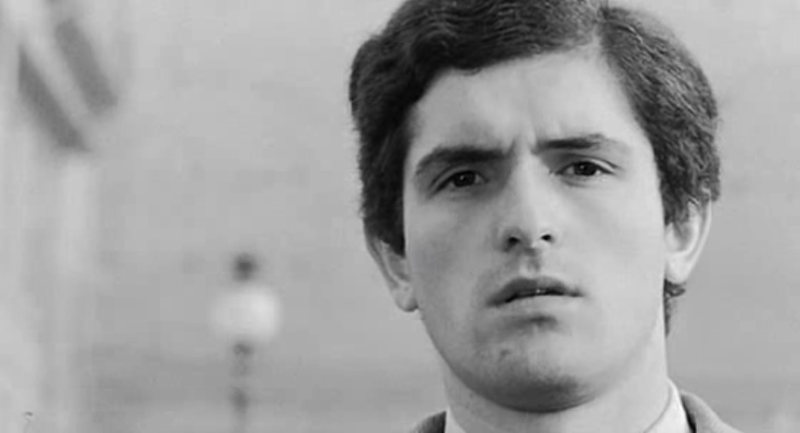 Close-ups of Fabrizio (Frencesco Barilli), our hero, which loom like wall-sized portraits, even on a small screen; soaring overhead shots of Parma as if Bertolucci began to run through his hometown and in his enthusiasm sprouted wings and began to fly. What do we hear? Fabirizo’s neurotic narration, a mixture of lush language and furious, uneasy denunciation, underpinned by Ennio Morricone’s lush, heart-bursting score – fully invested in its sense of operatic intensity, and as unashamed of it as Fabrizio is wary. This film then is a sensuous experience, maybe even first and foremost, but it is also a film of ideas, and a dialectic exists between Fabrizio’s notions and his feelings (as well as amongst the various feelings themselves). Bertolucci himself seems to suffer from a similar worry – not only "what will happen to it?” but “should it be indulged in the first place?” Luckily his doubts are manifested in the text of the film rather than in any stylistic hindrances. In telling the story of Before the Revolution, Bertolucci always runs a parallel track, composed of questions, anxieties, and a desire for rigor, alongside the film’s more free-spirited instincts. Even the orgasmic opening is not purely sensorial: “With new dreams the Resistance brushed away the dream of the regions federated in Christ and its burning sweet nightingale… Damn those who do not know that this Christian faith is bourgeois, in its every privilege, every surrender, every subjugation. That sin is nothing more than the crime of disturbing daily certainties, hated for fear and aridity. That the Church is the ruthless heart of the State.” So begins Fabrizio’s voiceover, and it quickly establishes his Marxist bona fides (and perhaps a guilty poetic touch – his own? The subtitles put this passage in quotes but searches only turn up results for the movie). Yet in its particulars this speech is peculiar – Before the Revolution is hardly concerned with the Church, and not at all concerned with the State, but rather with a society of individuals and hypothetical classes (there’s nary a proletariat onscreen), pushing themselves to fulfill obligations, satisfy an intensity, explore the realms of passion and possibility. Still, as any film set in Italy is bound to be, Before the Revolution is haunted by Catholicism, not only by the gap it leaves behind, but by the various needs it fulfills and anxieties it fosters, some in marked contradiction. It’s clear from the first frame of the film – from before the first frame in fact, when Bertolucci quotes Talleyrand’s paean to the “sweetness of life before the revolution” – that both the filmmaker and the character are deeply romantic. This romanticism is a legacy of Catholicism, with its utopian desire for redemption, its soaring architecture and art, its ornate rituals and cult of the Virgin Mary. Yet the guilt which questions this romanticism is also a legacy of Catholicism – the fear that one is enjoying life too much, not suffering enough, too far from the grace of the martyrs; this contradictory impulse is also part of the religious tradition. Perhaps central to this paradox is the suggested synthesis of romanticism and abstention: that the romantic possibilities of life are only a prelude and that through work and suffering one will achieve the greater transcendence, losing the false consciousness and tasting in full the beauty and truth only suggested before. In this sense, Bertolucci’s instincts are correct – “the new dreams of the Resistance brushed away the [other] dream.” Yet rather than liberating one from “subjugation” and “the crime of disturbing daily certainties,” these “new dreams” are simply a new manifestation of the age-old dilemma: live for now, or live for the future? Fabrizio’s affair with his aunt Gina (Bertolucci’s then-wife Adriana Asti) places these tensions into relief – she is both more anxious and less encumbered than he is. Put another way, his anxieties are intellectual and when he loses patience with the contradictions between his background and his political commitments, it’s all too easy for him to throw in the towel. Gina is not self-conscious in the same fashion as Fabrizio – she makes fun of his books and speaks in terms of pithy (and sometimes banal) down-to-earth observations. Yet her uncertainty is more deeply-rooted, less easily placated than Fabrizio’s. His attempts to “educate” her, absurd given his own youth and inexperience (highlighted by his response to her fling with a stranger), are like adding oil to water; as he laments to his political mentor, Cesare (Morando Morandini), “I wanted to fill Gina with vitality. Instead I filled her with anguish.” The relationship’s incestuous aspect (borrowed from Stendhal’s The Charterhouse of Parma) is ultimately irrelevant; what dooms the couple is that, as Neel Chaudhuri observes in Sense of Cinema, they “are ... fundamentally different individuals.” We suspect at times that even the writer/director does not quite understand Gina; in his own romantic sensitivity he stands outside the more adult despair of the aunt and often sympathizes without quite empathizing. 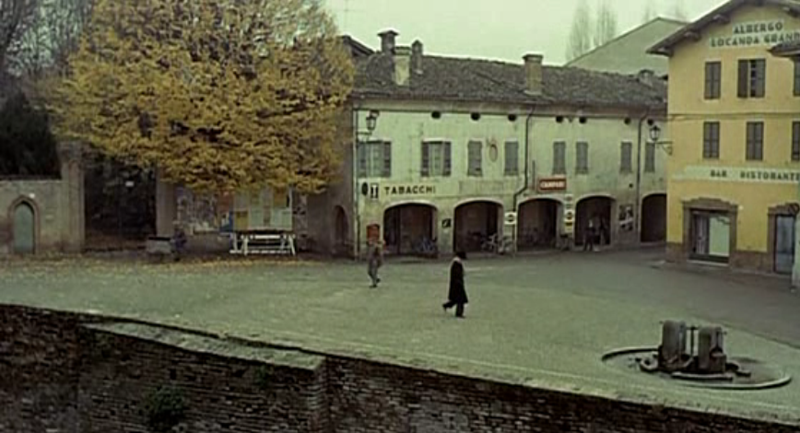 As for the politics, while Bertolucci has (to my knowledge) never left the Italian Communist Party, this nearly 50-year-old film appears agnostic on Marxism – attracted to its revolutionary intensity, theoretically believing in its moral rigor, but ambivalent about its materialism and highly doubtful that it can pull off its historical coup. The character’s restless impatience with an older Leftism, one bound to the conditions of the postwar era, were prescient. Soon a more youthful revolutionary spirit would sweep the Western world, manifested in the mostly anarchist street rebellion of Paris in May ’68 (when the Communist Party would betray the rest of the movement, not for the first or last time, by backing out of the strikes when De Gaulle made overtures). Italian Communism differed from most continental Parties in that it was markedly less bound to the Kremlin (due to the influence of the martyred Gramsci and his followers' presence in the liberation). Furthermore, after a total non-involvement with youth rebellion in the 60s, it learned how to collaborate with the New Left and – almost – wrest electoral victory in the late 70s. One wonders where Fabrizio would have fallen in all of this; would he have rejected his old mentors, turning on elders regardless of their ideology? Would he, like so many of his peers, have found a way to weave together political commitment and a lust for life, the tension between which he is unable to resolve in this film? We can’t know, but at the end of this movie at least, when he attends the opera with his bourgeois fiancée, we recognize a man who’s lost his religion and no longer cares. If the film itself has a religion, it’s one heretical to both Church and Party. 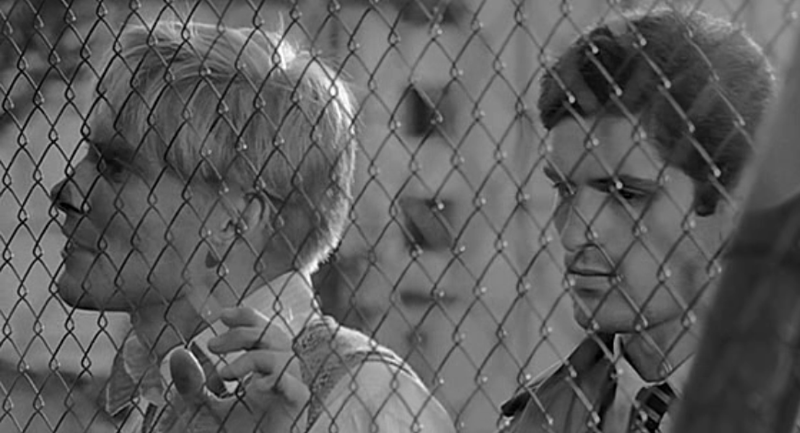 This heresy is Cinema, manifested both in the director’s visual tributes to other filmmakers (particularly the French New Wave and the 60s Italian cinema of Pasolini and Antonioni) and in his own intoxication with the possibilities of camera movements, jump cutting, musical montage, close-up, and zoom. 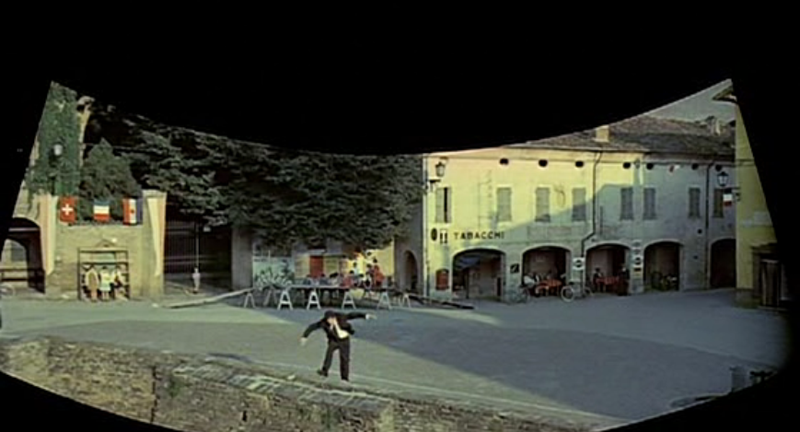 At one point the screenplay gently mocks a zealous movie buff who can only talk of life and morality in terms of Godard, Rossellini, Nicholas Ray – but this seems like Bertolucci kidding himself, and offering a playful reminder that it is not cinema alone which makes life worth living (or films worth making) but rather cinema fused with a life lived to the fullest. For this viewing, I watched a print marred by video lines, horizontal flickers which popped up whenever there was movement on my computer screen. For subtitles, I had to rely on a word document, scrolling through it manually in time with the movie, trying not to let it distract my from the images above. Not at all the ideal of course, yet still Before the Revolution wove its spell. Nonetheless, I would suggest – not based on authority, but speculation – that the perfect way to experience this movie is on the big screen, in a theater crowded with passionate filmgoers, with the images looming larger than life while the music and language burst forth like an unconquerable stream of sound. Just as important as what’s going on in the theater – the present Fabrizio speaks of being nostalgic for – is where one is coming from. Ideally, Before the Revolution would work best at the end of a busy day, packed with excitement, where one wandered restlessly outside, sensed an intangible something in the air, perhaps felt the teasingly affectionate caresses of a flirtatious lover, building one’s appetite without yet quite satisfying it. And then one can sit in the cinema, drink in the experience and know that Bertolucci has created not a substitute, not an escape, not a “corrective” to life, but a complement to it, a part of it, an acute heightening of its possibilities, and articulation of its energy. For that moment, at least, the present is neither nostalgic nor oppressive but rich with immediate euphoria. Drink deep.